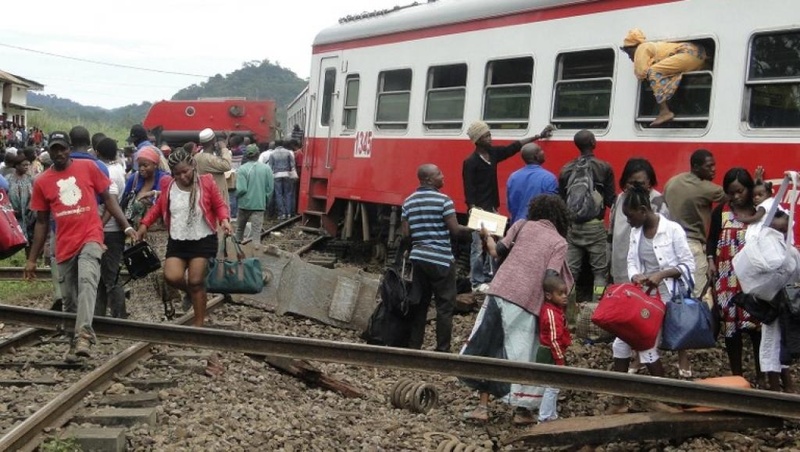 ON FRIDAY, A PASSENGER TRAIN DERAILED AT NOON ABOUT 120 KM FROM YAOUNDE WITH ON BOARD HUNDREDS OF PASSENGERS. THE TOLL WAS HEAVY AND ABOUT 56 DEAD AND NEARLY 600 INJURED. The derailment occurred in the afternoon in the city of Eséka, about 120 km from Yaoundé. The intercity train going towards Douala had eighteen cars, all full to bursting. A length of exceptional trains due to a landslide that occurred earlier in the morning of a bridge on the Douala-Yaounde highway and caused the interruption of traffic on this road. Hundreds of passengers wanting to travel then stormed the train, forcing the rail carrier to an addition of wagons to meet the passenger surplus. An ultimately fatal option, said train never reached its final destination.